AMF Reece seriging and side seamer units offer excellent solutions for efficient production of trousers, skirt and other parts. AMF Reece seriging and side seamer units helps trouser manufactures rapidly increase their production with consistent and high quality stitching. 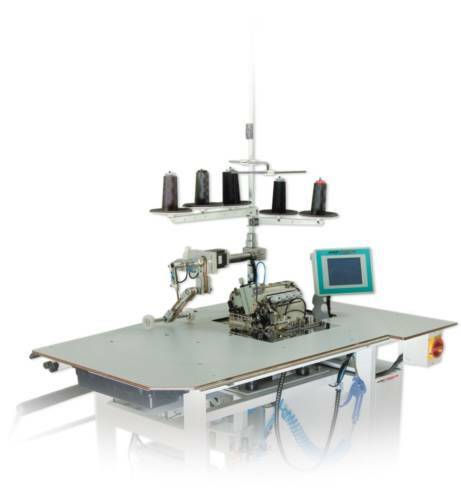 The high speed of seriging and side seamer units allows fast and overlapping working method without manual interference of the operator. 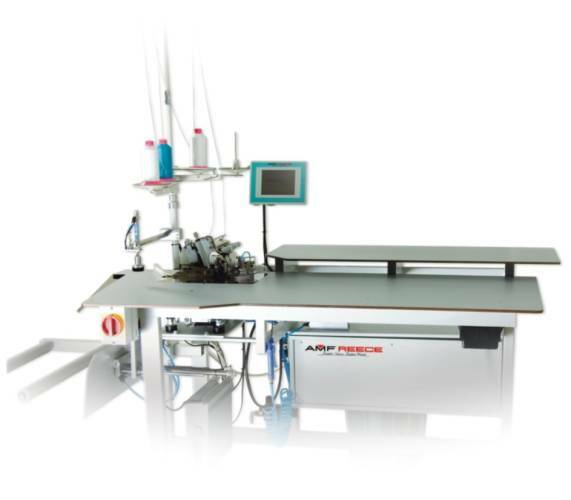 AMF Reece seriging and side seamer units are equipped with overlock Pegasus sewing head and large touch screen display.